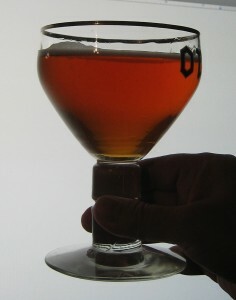 The most obvious choice for a high-temperature yeast is one of the various Belgian-style strains, but there are some others outside this category that will work as well. The key is to choose a yeast that is rated for higher temperatures. Low diacetyl production is nice as well, but this isn’t super-critical. The table at the end of this article lists some of the yeast strains that are good candidates, and their temperature range. The list in the table is not exhaustive. I have also had good luck with Safbrew US-05 in the 75–78 °F (24–26 °C) range. And let’s not forget that fermenting critters besides the familiar Saccharomyces cerevisiae are also good candidates for high temperatures. Brettanomyces, Lactobacillus, and Pediococcus strains all work pretty well in the warm environments. Maybe it’s time to finally man up and make a lambic or some other funky brew! One of the upsides to high fermentation temperatures is that primary fermentation begins very quickly (sometimes in as little as an hour) and is also completed very quickly (sometimes as soon as within 48 hours). But that is where the high-speed part of the process ends. High temperatures will almost always yield more intense flavors from the yeast: high levels of esters and phenolics, but also more-than-usual amounts of fusel and wood alcohols, as well as diacetyl. The esters and phenolics can be a good thing, especially if you like Belgian-style brews, but higher alcohols and diacetyl are almost always bad things. To help offset the bad side of warm fermentation, I have found that leaving the fermented beer on the yeast cake for an extended period to be very helpful in almost all cases. Once the primary fermentation action is complete (often 2-3 days at high temperatures), let the beer sit on the cake for an additional 2-3 weeks. If the resting temperature is above 75 °F (24 °C), do not go beyond 4 weeks (to help avoid autolysis). During this time, the yeast will reabsorb some of the diacetyl. Additionally, suspended particulate in the beer will have ample time to flocculate. After at least 2 weeks on the yeast, transfer the beer to a secondary container (another carboy or a keg, for example), and cool it to serving temperature. A kegerator with some extra space is an ideal spot. This process is best carried out with kegging as the end method for dispensing (but can be done if bottling is desired as well). To minimize the change of oxidation, I recommend purging the keg head space with carbon dioxide (CO2) before beginning the cold bulk aging process. Keep the beer at serving temperature for as long as possible before tasting. I recommend at least a month; longer if you have the patience. It is during this time that the “hot” aftertaste from the fusel alcohols and other undesirable flavors begin to mellow. Time (and cold) heals most wounds with hot fermented beer, it seems. High-temperature brewing is not for the faint of heart, but it can turn out some very complex and unique beers. And it’s perfect for the hot weather months. Experiment and enjoy. Forrest Whitesides is a regular contributor to Brew Your Own magazine and Final Gravity Podcast. Here are some yeast strains that can ferment at high temperatures without producing unhealthy amounts of higher alcohols (fusel oils). Wyeast 3711 (French Saison) is also up to the task. Thanks for the yeast tip, Tim! Found this googling something else. Seconding the vote for US-05; fermenting it “warm” (IE, in a carboy on my kitchen counter in spring or fall in California, or in a tapwater bath during summer and extended-summer), tends to produce a sort of stone-fruit-tropical-fruit flavor which is out of style for most beers but quite pleasant (the first time it happened, I thought it was something cool with the hops). Compare to S-04, which produces a lovely “burning rubber” flavor when fermented warm. Agreed. I love English beers but being on the third floor in my building means my ferm closet is usually 72, and can get hotter in summer. I had TWO S-04 beers come out tasting like a rubber glove during our hot Indian summer we had this fall in Denver. I’ll still do a tshirt Evan cool if it’s over 72 with US-05 but have found it to be far less delicate than 04, and the resultant off flavors if it does get warm to be far less gross. I have a smallish garbage can that has a diameter about 3″ larger than the typical 6.5 gal carboy. I’ve found it very beneficial to fill that with cold water and drop the fermenter in there. This manages the outside temperature and also makes it very easy to drop ice cubes from my freezer into in order to cool it down. Here is East Los Angeles it gets hot, stays hot and no one has A/C. This has been my best method to balance out the weather. As we speak my Belgian Golden Ale is crunching down for 20 hours and it is only at 76 degrees currently which is crazy because it’s 6pm, we’re at high kreusen and it’s just after peak day. So much better than a wet t shirt (unless it’s a contest and we have some pretty ones attending).